Two Sports Series derivatives are available. 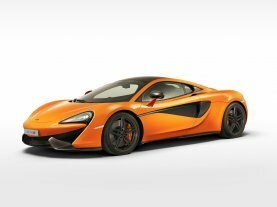 The 540C produces a potent 540PS (533bhp) and 540Nm (398lb ft) and is the most attainable and useable McLaren ever produced. At the top of the range, the 570S boosts performance to an incredible 570PS (562bhp) and 600Nm (443lb ft) for the ultimate sports car experience. 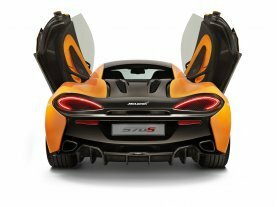 Unique body styling, including the Sport Aero Pack with new rear diffuser, front splitter and side skirts, and an even more driver-focused chassis further increase the appeal of the 570S, while maintaining the day-to-day usability central to Sports Series DNA.Assembled at the McLaren Production Centre next door to the Formula 1™ racing team, the Sports Series is hand-built to the same exacting standards as the McLaren Super Series and the McLaren Ultimate Series. 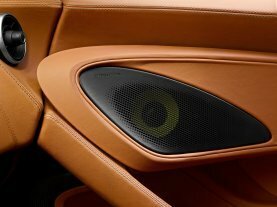 No other sports car boasts a production process with such painstaking attention to detail. Sculpted from lightweight aluminium, the dramatic exterior design of the Sports Series also unleashes its incredible performance.With over five decades of success on the racetrack, McLaren knows that form should always follow function. So while the Sports Series is more dramatic than any other sports car, the stunning exterior design works in complete harmony with the quest for aerodynamic perfection. The shrink-wrapped aluminium body panels and teardrop-shaped cockpit of the Sports Series reduce drag resistance. Distinctive ‘flying buttresses’ help to both channel air to the powerful twin-turbocharged V8 engine and increase downforce. Designed around the perfect driving position, the state-of-the-art interior of the Sports Series features luxurious leather hides, advanced touchscreen technology and exceptional versatility.The premium cabin of the Sports Series is designed around the driver for ultimate luxury and best-in-class user-friendliness. An elegant, uncluttered interior architecture features a ‘floating’ centre console, seven-inch touchscreen infotainment system, and optimised visibility for a light, airy feel.